These days there are so many gadgets to speed up our meals. Pretty soon we will only have to spend like 5 minutes in the kitchen per day. 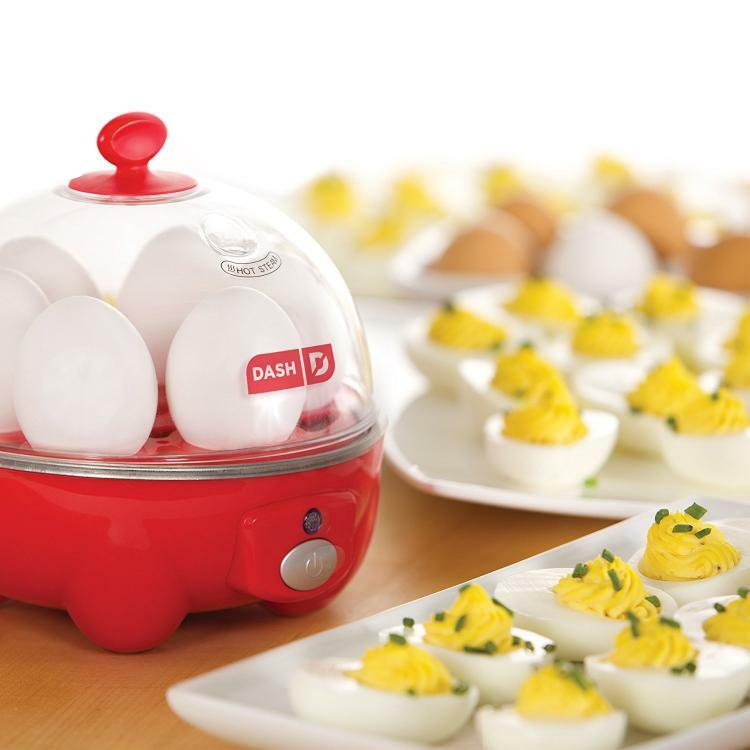 The Rapid Egg Cooker is another fantastic device that helps to speed things up. 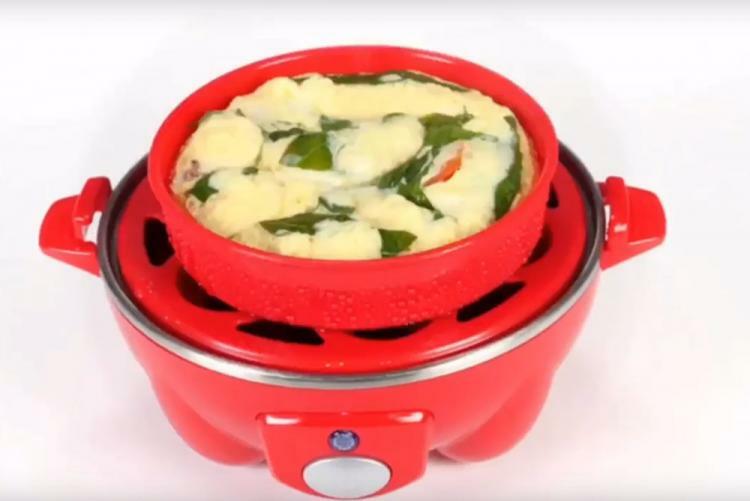 This handy and unique kitchen gadget cooks up to 6 eggs at a time without having to even boil any water. How cool is that? Or should I say hot? 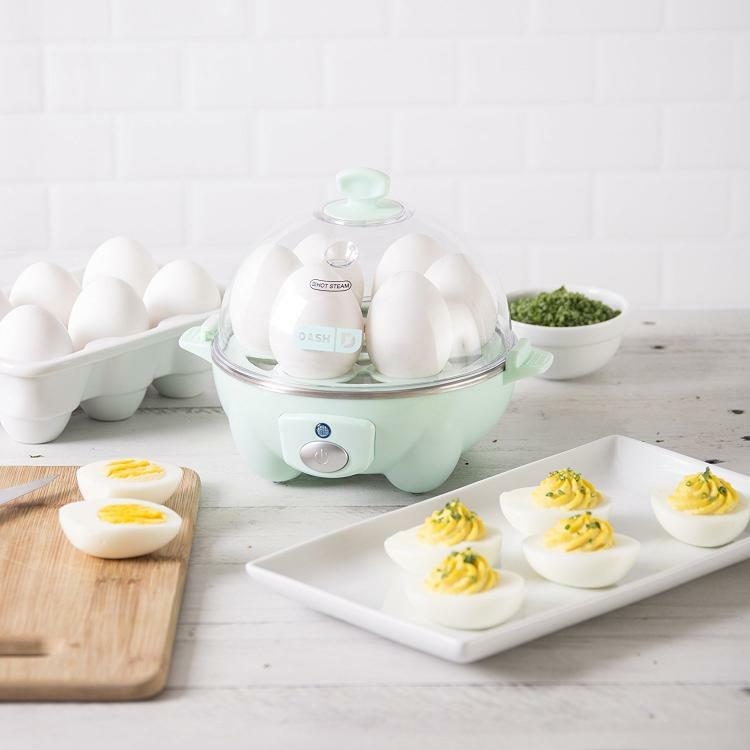 Easily make 6 hard, medium, or soft boiled eggs, individual omelettes, 2 poached eggs and even scrambled eggs with this unique kitchen gadget. It includes a poaching tray, measuring cup, omelette tray, and a 6 egg holding tray. 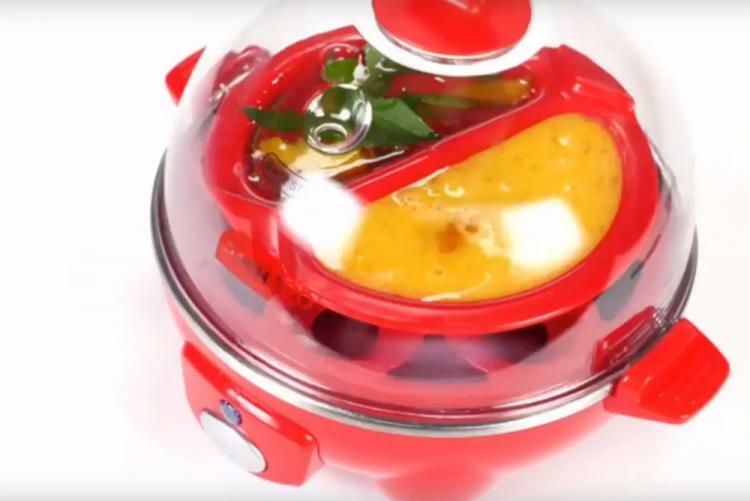 This might be the best egg cooking gadget ever! To use it, all you have to do is fill the measuring cup up to the line of desired consistency, and hit the on/off button to start. The device will then automatically shut off when your eggs are cook to your desired level. No more having to get out and dirty a giant pot and waste time and water filling it up and boiling it, this thing does it all in just a few minutes with just a fraction of the amount of water you would normally use. That's pretty simple huh? Eggs-actly! Eggs are now easier than ever. 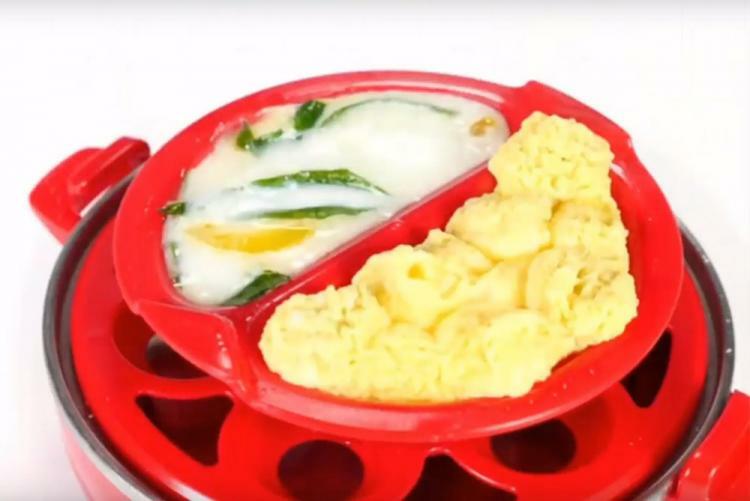 Even a monkey could cook perfect eggs using this gadget. He might destroy your entire kitchen in the process and make a giant mess, but he could do it with this rapid egg cooker. 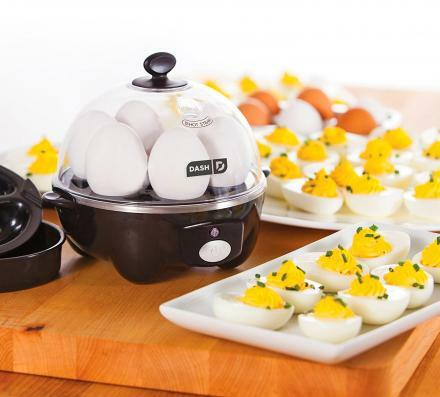 The Rapid Egg Cooker uses all non electric parts and they are dishwasher safe so cleanup is super easy. It also comes with a 1-year manufacturer warranty, recipe book and access to an expanding database of recipes. Eggs for everyone! 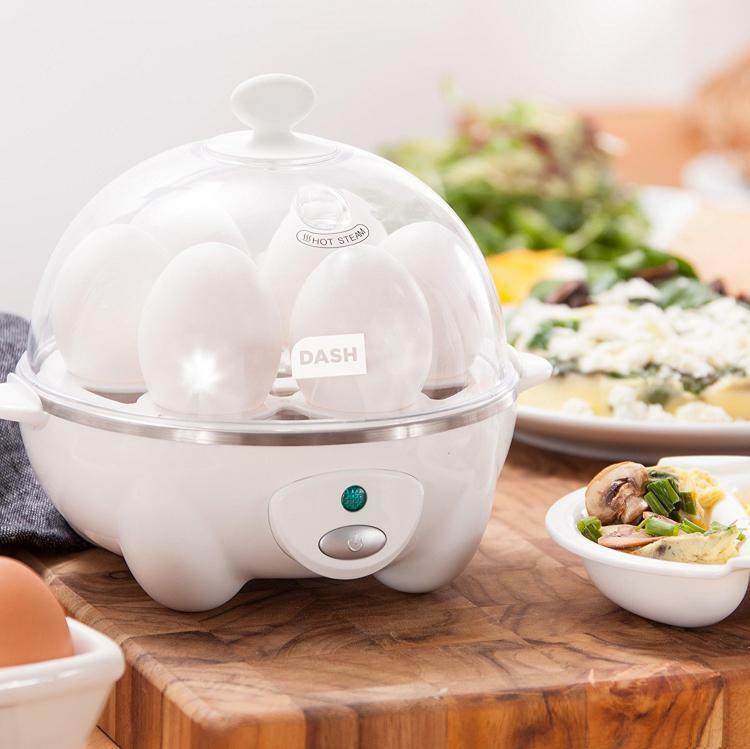 Check out the Dash Rapid Egg Cooker that hard boils up to 6 eggs at a time in action via the video below.